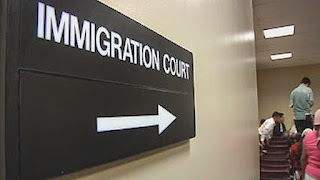 The high costs of illegal immigrants filing deportation appeals in federal courts are paid by U.S. taxpayers, a little-known fact but a major driver in the escalation of cases that are clogging the legal docket, according to experts. "Aliens should not be given more rights and better conditions than U.S. citizens," said Hans von Spakovsky, an expert on immigration and a former member of the Federal Election Commission. Decrying the special treatment courts provide to illegals, he told a Center for Immigration Studies panel on Tuesday that unlike American citizens, undocumented immigrants don't have to pay most court costs, such as for records and transcripts, and the $110 filing fee is typically waived. 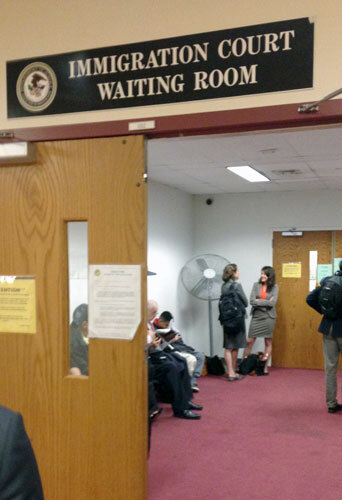 "American taxpayers are subsidizing the appeals of all these cases," said von Spakovsky. He said that nearly all deportation decisions from the Board of Immigration Appeals are challenged. "That's because there's no cost to the illegal aliens. The filing fee is very low, to file an appeal it's $110," he said, citing a judge's recent congressional testimony. "However in a majority of cases that fee is waived," he added. Read the rest from Paul Bedard HERE.